These camps and programs offer the chance to spend a summer discovering your Jewish faith, history and culture, in the United States, Israel and other countries. Some are traditional summer camps; some are academic programs; some offer travel and outdoor adventure opportunities. Some day and residential camps are also looking for counselors or counselors-in-training who want to develop their leadership skills. 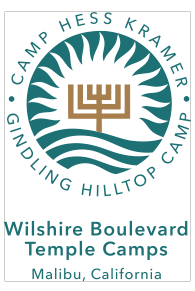 Your request will be sent directly to Erica Feinman, Assistant Director, at Wilshire Boulevard Temple Camps.